Gerard LaChapelle will be filling the vacant deputy mayor’s chair in Tay Township. At the Jan. 23 meeting, council observed a moment of silence for Jim Crawford, the former deputy mayor who died on Dec. 14. They then talked about whether they should fill the vacancy through an appointment or hold a byelection. 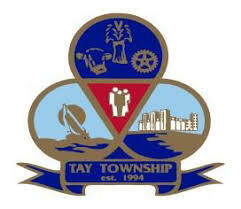 Tay Township council officially declared the deputy mayor’s seat vacant on Jan. 23. They will now have 60 days to name a replacement. Former deputy mayor Jim Crawford passed away in his home on Dec. 14, just eight days after being sworn in for the new council term. Although a decision was not made before press time, council had two options to fill the open seat: either a byelection or by appointment. The majority of the letters and emails received by the township over the past month were resoundingly in favour of a byelection.